A world-famous Italian football club wanted an even deeper relationship with its large and loyal fan base, and was interested in using new technologies to achieve its objectives. The club used Samsung Knox technology to launch an innovative marketing initiative: club-branded phones for their die-hard fans. These phones sported the club’s unique color scheme and gave their fans exclusive extras—including videos and photos—which fans could then re-post on their own social media networks. 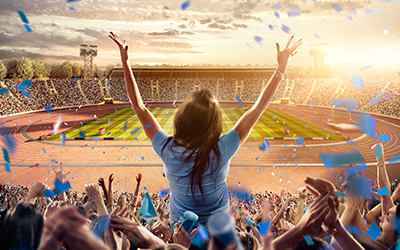 Our client is a world-famous Italian football club with a large and loyal global fanbase. The club has experienced success in both Italy and on the international stage, and routinely sells out its matches. A world-famous Italian football club wanted an even deeper relationship with its large and loyal fan base—no small matter at a time when even dedicated sports fans are easily distracted by entertainment alternatives. Because those alternatives include social media and mobile devices, the club was interested in using new technologies to achieve its objectives. The team wanted to create a channel that would enable fans to connect with them every day, like family. Samsung and the club together developed the concept of offering club-branded Samsung Galaxy smartphones in club stores and on the club’s web site. The club executives agreed to launch a pilot program during the holiday season to maximize the exposure to its fans. Samsung showed the club how it could customize the phones using Samsung’s exclusive cloud-based configuration tool, Knox Configure, which lets customers remotely configure large volumes of Samsung devices and tailor them to specific needs. The club wanted to add themed screen wallpapers (with their signature colors, of course), suggestions for team merchandise, and news about the squad. The club also designed a club-themed box sleeve to wrap around the original product box. Samsung worked closely with the club’s marketing and IT team to ensure high standards of fan satisfaction, by delivering a seamless experience right out of the box. Through Knox Configure, all devices shipped to club stores are configured to download and install all necessary club-branded content at their first boot-up. The content includes all club-affiliated apps, such as the latest TV app, which allows customers to watch the latest games or game recaps. The club was impressed by the unique set of capabilities available through Knox Configure and how easy it was to rebrand phones. The club-branded phones represent a new marketing approach that supports everyday interaction with a fan base in a way unlike anything else in the sporting industry. The club deployed its new club-branded Samsung phones in time for the Christmas selling season. The phones flew off the shelf when fans saw phones branded with team colors of their beloved club. “Club fans were thrilled to own a club-branded phone, because the phone opened new channels to interact with the club and the squad,” says Antonio La Rosa, head of mobile B2B at Samsung Italy. The rebranding capabilities of Knox Configure enabled the club to deliver a true club-branded experience from the moment the fans open the box and turn on the phone. The fans see club-themed wallpapers and all club’s apps are automatically downloaded and installed. Remote configuration capabilities of Knox Configure enabled the club to configure its new phones easily and roll out a large volume of devices without any hassle. Learn more about using Knox Configure for your business.